The PGA TOUR – Powering Golf’s Growth In Asia! It is common knowledge that the PGA TOUR is the most powerful and richest professional golf tour on the Planet. It’s top players are amongst the richest sportsmen in the world with Tiger Woods ranked almost at the top with a net worth exceeding US$1 billion. The facts speak for themselves and it just goes to prove that the PGA TOUR is without doubt the most powerful organization in golf! Of late, this powerhouse has forged its way into Asia and now stages three of the richest tournaments in Asia under the PGA TOUR banner and another under the Champions Tour in Japan. Collectively, these tournaments offer US$29 million in prize money. This is huge by any standards and if anything at all, it’s good for Asia, Asian professional golfers and golf fans who can now be treated to seeing in person some of the world’s best players in action. The PGA TOUR has a physical presence in Kuala Lumpur, Malaysia, Beijing in China and Tokyo in Japan. All the offices are helmed by senior executives who know the lay of the land in their respective regions and who are committed to growing the game of golf in Asia. All three will be heading up a high-powered panel session at the 2018 Asia Pacific Golf Summit scheduled to be held in Bangkok, Thailand on November 1 – 3. Looking East makes good business sense for the PGA TOUR and also for the future of golf. With a solid presence in Asia, the tour will play a big role in developing heroes which has already started with super-stars like Hideki Matsuyama of Japan, Si Woo Kim of South Korea and Li Haotong of China. With the development of heroes will come new tournaments in Asia which in turn will give the game of golf a massive all-round boost on all fronts. APGS 2018 will serve as a platform for the PGA TOUR to share its plans for growth in Asia and this will serve as an excellent opportunity for serious stake-holders in the region to become actively involved with the push forward. 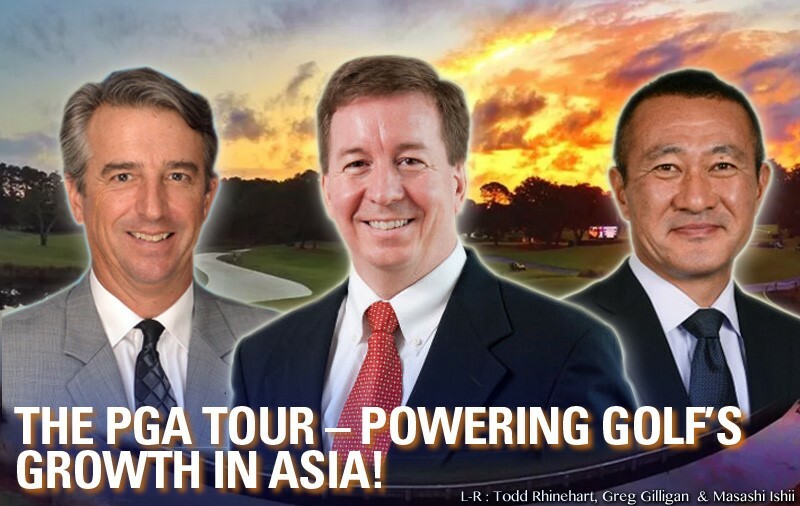 Come and be a part of this exciting phase of golf’s growth in Asia. The 2018 Asian Golf Awards, the “Oscars” of the Asian Golf Industry also promises to be a glorious and grand celebration of the very best in Asian golf! If you have not registered to attend the APGS 2018, you have a few more weeks to step on it and get your seat booked for the Bangkok extravaganza. APGS 2018 – Engagement – Golf’s New Engine For Growth! APGS – The 12th edition. One Of The Industry’s Best!